The cultural, financial, political and the art capital of France, if not Europe, Paris is indeed one of the most fascinating and romantic cities on Earth. With scenic boat trips along the River Seine, the Eiffel Tower in the background and Notre Dame, Paris is the tourist’s dream destination for a holiday. With our car rental services, we help you to travel around Paris and savour all its delights, no matter how well known they are. If you want to spend some time in peace and tranquillity, Passy Cemetery is your best bet. With chestnut trees adorning the site, lush gardens serenading the premises, you will be able to see the final resting places of a number of famous people. Reaching the cemetery is easy with Paris car hire services. This famous monument in Paris contains varied inscriptions, terrifying portraits and other relics which bring you back to you the ‘Reign of Terror’ in France during the rule of Louis VI and the French Revolutions. Akin to the Bloody Wall in London, the Conceirgerie in Paris is a double-towered building with famous rooms such as the Room of Arms, The Room of the Commons, The Beheading Room and The Guillotine. 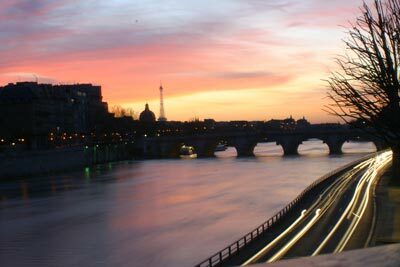 For many more such attractions in Paris, book a car rental and travel in style. A special parish dedicated only to the clergy, the nobility and members of the church, today, the Ancient Cloitre Quarter is home to an eclectic mix of affluent professionals. Often overlooked by Notre Dame and other attractions in its vicinity, this charming neighbourhood has a love story between a clergy man and the daughter of a pastor who perished in the end. This area is therefore also called the lovers’ paradise. One of the most marvellous museums in Paris, the Jeu de Paume is celebrated for its shockingly avant-garde photography and video displays. The landscaped gardens around the museums were originally developed to feature a sports ground for ‘jeu de paume’, the predecessor of tennis and badminton, by Napoleon III. This gave the museum its unique name. With our finest car hire services in Paris, you shall be able to take trips to many such museums and places of interest. Paris also has gardens, palaces, libraries, institutes of national importance, boulevards and other attractions in its beautifully planned city. Why not plan an itinerary which takes in as many as possible to make the most of every moment of your stay in one of the world’s most fabulous cities? When traveling with family and children, we recommend you select a car with enough space for luggage and enough space to fit child seats. Children must travel save in a child seat/booster depending on their weight or how tall they are. Rentalcargroup.com offers a wide range of variety of station wagons, mini vans in Paris Orly Airport. Driving around in the city of Paris Orly Airport with a rental car can be a hassle but not impossible. Its a good way to move around but we advise to have a look at the local traffic rules as they may vary with what you are used to. Take in mind that in rush hour traffic can be pretty dense and it can take longer before you reach your destination. Last month, the average car rental length at Paris Orly Airport was 4 days. The average rental car length at Paris Orly Airport is 6 days. The most booked rental car type currently at Paris Orly Airport is ECONOMY cars. Last year, the most booked rental car type at Paris Orly Airport were COMPACT cars. How much does it cost to rent a car at Paris Orly Airport? Last month, the average car rental price was 144 USD. Last year, how much did it cost to rent a car at Paris Orly Airport? Last year, the average car rental price was 343 USD. What is the current average daily price to rent a at Paris Orly Airport? Last month, the average rental price was 41 USD per day. How much did it cost to rent a car at Paris Orly Airport over the past 12 months? Last Year, the average rental price was 54 USD per day. The car rental companies available at Paris Orly Airport are: . See below last 5 customer reviews. Our customers rated Paris Car Rental with an average of 0.00 based on 0 ratings.